I have been keeping this one under my hat for what feels like ages but finally its out and I can brag about it! This is my new book Best Friends written by none other than Julia Donaldson! It’s a bit of a thrill to have illustrated a book for our children’s laureate and creator of the Gruffalo. This is a lovely story featuring a range of characters from a wonderfully smug little bird through to a grumpy cloud and a very old and wise mountain. 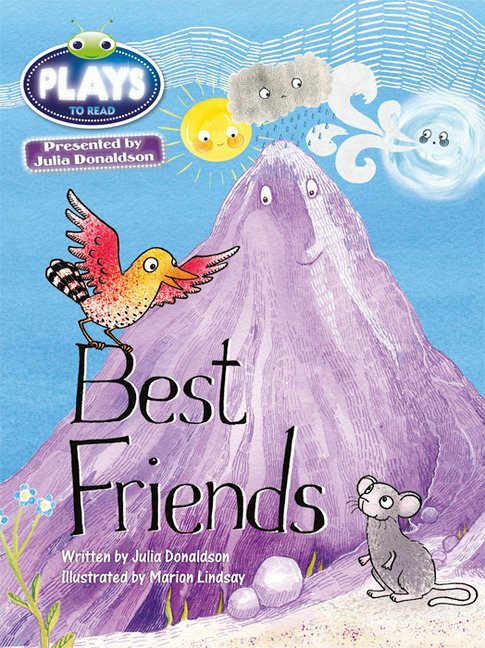 Best Friends is one of the plays from a series called Bug Club which is the brainchild of Julia Donaldson and aims to encourage very young children to interact with stories by playing the different roles within them. I can see I’m going to have to succumb to the lure of buying an iPad, there are just too many cool ways for kids to learn like this. Thanks for the link, Marion!